One question that is often times asked when discussing turntables is whether or not it is necessary to go with an expensive one? Necessary? Probably not, but there’s a whole bunch of reasons why you should consider it, especially if you think of yourself as a vinyl enthusiast. Today we are going to discuss some awesome $500 turntables and talk about what they have to offer. By the time we are done, you should know exactly what the difference is between these and cheaper turntables in the $200 range or similar. With that said, let’s get started with our rundown. Simple, clean and ultimately attractive design. Precision made and rock solid hardware. Satisfying analogue tone that is well within the realm of audiophile quality. 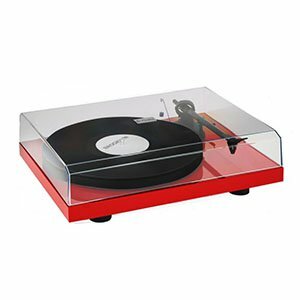 Rega’s RP1 is one of the best performing and most attractive turntables you can get in this price range. It is your ticket into genuine audiophile level of tone quality. Rega has kept things very simple, which has only added to the already tangible appeal of the RP1. Overall, one of the best models out there at the moment. There is really nothing negative that we have to say about the RP1. It’s just that good. It is the rare combination of a fantastic visual design, a robust build quality, and just the right balance of audio performance and features to tick just about every box you could possibly want to have ticked. Certainly one of the best choices you could make. Simple, compact design with good looks. A real creative tool for those who need it most. Great support for third party applications via USB. At 29.6lbs it’s very heavy for such a compact design. 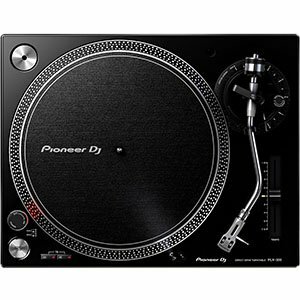 ​Although aimed at the DJ—a job which typically requires travelling around a fair bit unless you have a long term residency—, Pioneer has not tried very hard to keep the weight of this turntable down to aid travelling and portability. Coming in at almost 30 pounds, it’s robust (which is great) but will be difficult to move around with (which might not be so good). That said, it’s still a good choice. Solid hardware that works precisely and accurately. Rock solid performance no matter what you play. Desperately needs a better user manual. Pro-Ject Debut Carbon DC is one of the best looking and best performing turntables in its price range. They have gone and removed all of the unnecessary features, leaving only the core hardware in all of its glory. Even though it is minimalist in nature, Pro-Ject Debut Carbon DC packs a whole lot of heat for the money. We are big fans of what Pro-Ject has done with the Debut Carbon DC, but being reviewers we still feel obliged to point out one (admittedly minor) gripe. The included user manual is really quite dreadful and does a bad job of walking you through any of the kinds of things which a novice turntable user might wish to find out about. Minor, like we said, but we thought we’d let you know! An elegant and simplistic design, mixing both metal and wood. Wireless Bluetooth streaming is a fantastic feature. Simple enough for anyone to quickly set up out of the box. With all the focus on design, performance suffers a bit. The BT500 from Akai is a beautifully-crafted record player with fantastic features that all scream high quality. This simple turntable would make any casual listener happy – especially the wireless Bluetooth streaming – and could be the focal point in any entertainment set-up. 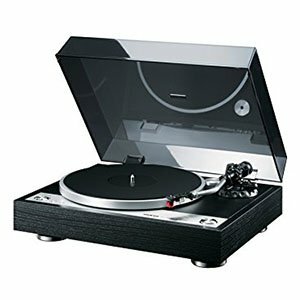 However, looks aren’t everything and the BT500 is not the best performing turntable in its price bracket. Impressive build quality and design. Truly portable and loaded with great features. Amazing performance for a portable setup. No software support from the manufacturer. 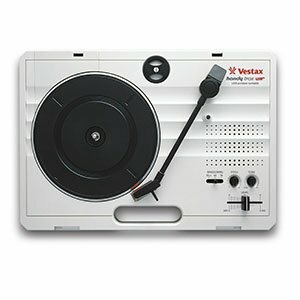 Vestax Handy Trax is one of the few truly portable turntables on the market. It comes with all the features you’d expect, and then some. For a compact unit, it packs a decent amount of heat that you can access anywhere at any time. With a built-in battery, it’s a perfect tool for diggers and those who travel frequently. 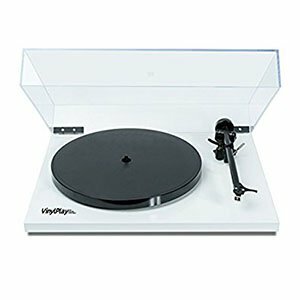 We are also big fans of the design choices which Vestax have made with the Handy Trax USB: it’s a great looking turntable that eschews many of the conventions of record player design in favour of a very 1980s, retro feel that we really like. As with all bold aesthetic choices, it won’t be for everyone, but if you like it, you’ll definitely like it a lot. Stylish design that makes it among the most attractive models out there. Build quality that's up there with the best. Rock solid performance all around. Maybe too simple for some users. Onkyo has combined the right features and design choices with their CP1050. This direct drive turntable offers solid build quality and audiophile level performance. On top of that, Onkyo CP1050 is extremely easy to use and requires little to no maintenance. This makes it perfect for both casual users as well as those who just want some hassle free performance. 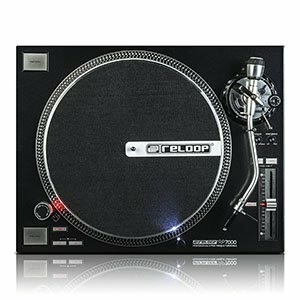 Our main criticism is that Reloop have not necessarily provided enough features to compete with other models in this price range which also explicitly cater towards the home consumer market. 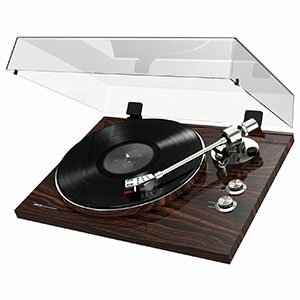 This will depend, of course, very much on what it is that you require from your turntable, but the feature list is certainly a fairly short one by comparison to other offerings in this price bracket. Impressive exterior design and aesthetics. Solid choice of hardware and design features. A performance that punches decently above its weight class. Lack of versatility in terms of controls. Music Hall MMF 2.2 is one of those solid turntables that you simply can’t go wrong with. It packs a great design as well as proven performance. Music Hall might have dropped the ball a little in terms of controls, but everything is compensated and forgiven the moment you hit that ON switch. We are big fans of the sheer visual simplicity which Music Hall has produced in this aesthetic design. It’s striking, and really allows you to revel in the audio experience rather than be distracted by unnecessarily detailed or garish externals. 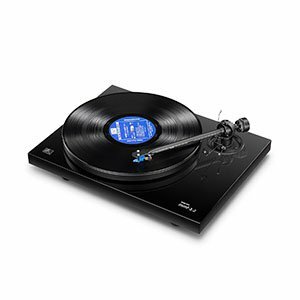 While some may be disappointed by a lack of controls, this is not a big deal at this price point and will not deter people who are looking for the standard turntable experience. Scratch-resistant paint and a simple strong build. The built-in phono/line is a great inclusion. Lots of adjustments across the turntable makes for a versatile machine. No cartridge, needle or dust-cover is included. No inclusion of any USB or midi support. The RP-7000 from Reloop is a rugged, performance-focused powerhouse which is great for on-the-road and gigging. It’s the ideal starting point for a DJ to build a rig from – adding and upgrading along the way, and eventually becoming the centerpiece to your shows, or just a great turntable for enthusiasts to mess around with. We are a little disappointed by the lack of some fairly basic elements that many competing products provide as a given at this price point. Chief amongst these is a dust cover which is totally lacking and has a real effect on durability and the endurance of the device, but the fact that no cartridge or needle is included is also an odd choice which we don’t love. Extremely easy analog to digital conversion. Decent build quality with a simple layout. Good performance that won’t disappoint the casual user. Lack of versatility in terms of cartridges and styluses. 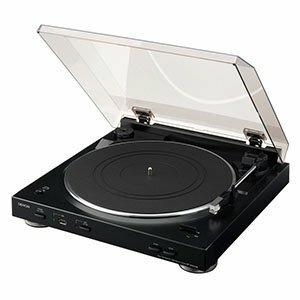 Denon DP200USB is one of the more popular fully automatic turntables in its price range. They have kept the features to the very minimum, however, the performance has ended up at a very acceptable level. DP200USB features a great digital suite for your analog to digital conversions, as well as a switchable phono amp. There is a lot to like about the simplicity of Denon’s design choices with the DP200USB model; the unit and its attached dust cover are very much a no frills, take what you get approach which is often lacking at this price point of the turntable market which is saturated with flashy, garish designs. Overall, this is a very strong choice that makes up for its lack of versatility with solid performance across the board. Turntables come in all kinds of flavors. From super cheap ones, to $1000 models. Smack dead in the middle is where you probably get the best of both worlds – reasonable price and great performance. It is fair to say that some of the record players in the $500 segment are among the best models you can get at the moment. The question is, what makes them so good? This is a legitimate question, especially seeing how you can find cheaper turntables with similar or same features. However, there is a difference and it is significant. Features and specs in general, are not the only metrics that define the quality of a record player. We have to count in the quality of components and how they perform on their own. For example, with $500 turntables, you will see much higher level of machining and tighter tolerances in the drive system. On top of that, some brands even go as far as to hand build tone arms and invest large amounts of time into reducing vibrations in the motor. In other words, it is not always about what you can see on the surface, but rather what you don’t see. All of these subtle upgrades add up to a much finer and smoother performance. In all honesty, an inexperienced user probably won’t even notice anything different. However, someone who has been working with turntables for a long time will absolutely appreciate these upgrades. Another thing you can expect with more expensive record players are better and more attractive designs. When you are paying this kind of money for a turntable, most brands will do their best to give you something that is every bit as aesthetically pleasing as it is a joy to listen to. Something worth noting is that a good number of $500 turntables come without a built in phono amplifier. In other words, you will have to factor in a standalone amp in your budget if you want start using the record player right away. This is actually a good thing as you can choose the amp yourself, instead of being limited to whatever the manufacturer has installed as stock. Since we’re already talking about customization, most record players in this price range will offer numerous upgrade paths for you to play with. A $500 turntable may not be for everyone. However, those who do decide to invest in one will find themselves enjoying a much more refined audio. Models we’ve listed above are some of the best in this class and have been proven many times so far. If you’re trying to find a reliable record player, anyone of these models will do the job just fine. While our choices may not align with everyone’s taste, we went with most neutral turntables that just work. With that said, we hope that you’ve found this guide helpful in your search for the right turntable.